Worthington’s website is the new go-to location for notices about public meetings and hearings for City Council and Boards and Commissions. Worthington citizens approved a Charter amendment to no longer require notices about public hearings be published in the newspaper. Moving from newspaper to online publication is expected to save thousands of dollars each year. 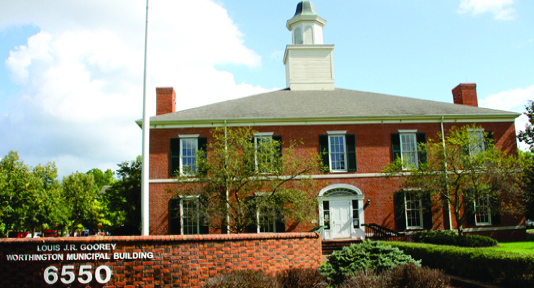 Council expanded the number of places where printed meeting notices will be posted to include the Worthington Municipal Building, the Griswold Center, Community Center and the Old Worthington Library. For notices relating to the Planning & Zoning code, in addition to the website, existing methods of notification such as placard signs and mailings to nearby properties will continue. The only change is that these notices will not be placed in the newspaper. In addition, notices about employment opportunities and water conservation emergencies will also be posted on the website and not the newspaper. On the website, notices can be found for City Council and different Boards & Commissions. You can sign up for notifications by clicking on “e-news sign-up” on the home page. Meeting agendas, minutes, ordinances and resolutions can be found in the “Agendas and Minutes” section of the website available through a link on the home page at worthington.org.